Heartburn neck pain is experienced in the esophagus, creating discomfort in the front of the neck and sometimes in the frontal sides of the neck. Heartburn is one of the most common recurrent health problems, often leading patients to seek multiple rounds of diagnostic evaluation and treatment over timelines spanning years or decades. Heartburn is certainly not a classic cause of neck pain. However, since symptoms do travel into the throat, and are therefore located in the frontal neck, we have dedicated this essay to provide coverage of indigestion neck pain that may be related to GERD, occasional reflux or more sinister possible causations, in order to better educate patients on all possible sources of neck symptoms. This dialog focuses on explaining heartburn in the frontal neck. We will discuss the common causes of heartburn, the locations it affects, the diagnostic process, the treatment options and the often overlooked mindbody link that is inherent to virtually all digestive woes. Heartburn is described as a burning sensation that begins in the upper abdomen and continues upwards into the chest, neck and throat. Severe heartburn can be experienced in the cardiac region, often making the patient feel as if something is wrong with their heart, hence the traditional name of the syndrome. Every year, many people visit hospital emergency rooms complaining about severe chest pain which turns out to be simple heartburn. Patient might experience reflux in the chest, throat and even into the mouth. Patient might experience occasional or regular vomiting, especially right after meals. Patient might suffer gas, bloated sensations, pre-mature fullness while eating or a painful upper or lower abdomen. Patient may cite a globus feeling, which is described as the sensation of a lump in the upper throat. This expression may cause nausea or the urge to vomit. Gallbladder disorders, such as gall stones, can cause indigestion and related symptoms. Pancreas concerns can cause heartburn in some patients. Stomach, duodenal and esophageal ulcers and inflammation can all cause indigestion. GERD and occasional reflux are components of many cases of indigestion. Muscular and neurological disorders can create heartburn in many patients. Mindbody pain syndromes are often the root origin of a variety of digestive difficulties, including frequent heartburn. More serious problems, such as benign or neoplastic masses, can cause chronic indigestion. Dysfunction of the lower esophageal sphincter can cause indigestion expressions. Dysfunction of the upper esophageal sphincter can cause chronic pain in the throat and globus sensation. Diagnosis of recurring or ever-present heartburn can be a difficult undertaking. The process will usually begin with basic and specialized blood work, looking for clues that might involve one or more internal organs in the causative mechanism. Stool samples are also often taken and analyzed to check for the presence of blood or known bacterial contaminants. If these tests do not produce definitive results, then evaluation will often be expanded to include tests including barium swallows, upper gastric endoscopy, pH testing of the esophagus, ct scanning and testing for h Pylori bacterium in the lining of the stomach. These tests may or may not return conclusions that might lead to positive diagnosis of the causative process. Statistically, in a great number of patients, no definitive source process can be identified to explain the heartburn problem. Many diagnosticians overlook or purposefully avoid mentioning the known fact that most GI disturbances are related to the mindbody processes and are most likely created by ischemic manipulation of the vagus nerve. While every digestive disorder is influenced by negative emotions and conscious stress, many of these conditions are actually caused by unconscious and repressed emotional traumas, particular personality attributes, such as perfectionism, and the suppressed stresses of daily life. It is no surprise that alternative mindbody therapies often resolve the most violent digestive concerns, even when medical therapies fail. 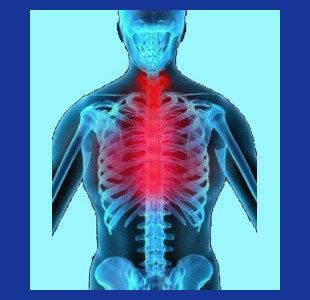 In summation, although neck pain due to indigestion falls outside of our usual topical coverage, we hope that this essay helps to provide some insight on a common problem that does indeed cause pain in the neck and is often linked psychoemotionally to other musculoskeletal pain syndromes, such as traditional cervical spinal symptomologies.